According to astrological and lunar lore, there are best days for doing a variety of tasks. The best days listed here are based on both the phase of the moon and its position in the zodiac. Many people believe that if you do the tasks on the dates listed, you will get the best results possible. Power Flow: energy working toward the surface; A good time for spell work on purification, growth, healing. Loving the self. Accepting responsibility for past errors, forgiving yourself, and making future plans. February was named for the Roman goddess Februa, mother of Mars. As patroness of passion, she was also known as Juno Februa and St. Febronia from febris, the fever of love. Her orgiastic rites were held on February 14th, St.Valentine’s Day. In Norse traditions, she is equated with Sjofn. The Irish called this month Feabhra or an Gearran, the gelding or horse. The horse was used to draw the plough, but Gearran also means ‘to cut’ and ‘Gearran’ can be used to describe the ‘cutting’ Spring winds. To the Anglo-Saxons, this was Solmonath, “sun month,” in honor of the gradual return of the light after the darkness of winter. According to Franking and Asatru traditions, this month is Horning, from horn, the turn of the year. 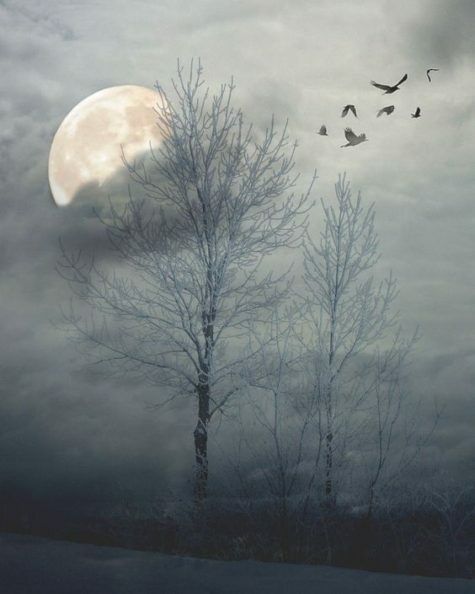 The first full moon of February is called the Quickening Moon. It shares the titles Snow Moon with January and November, Wolf Moon with January and December, and Storm Moon with March and November. February’s Moon is also called the Hunger or Hungry Moon, and it has been called the Ice, Wild, Red and Cleansing, or Big Winter Moon. Aquarius and Pisces share power over February, with Pisces taking over around the 19th of February. Violet is the flower for those born in February. Though hyacinth and pearl appear on some lists, amethyst is the jewel for those born in this month and for Pisces, while aquamarine is the stone for Aquarians. Other stones associated with Aquarius are chrysoprase, garnet, labradorite, lapis lazuli, and opal. Albite, aquamarine, chrysoprase, fluorite, green tourmaline, labradorite, moonstone, and opal are linked to Pisces. 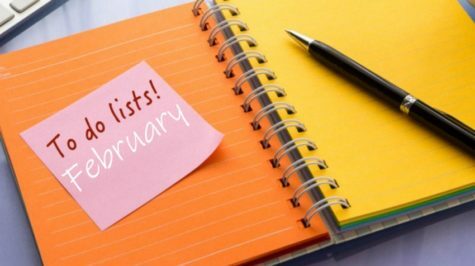 February can be an ideal time for dedicating or re-dedicating oneself to whatever deity or deities one worships. It is also a wise practice to cleanse and purify yourself, your dwelling place, and even your property lines before the dedication. Purifying changes the vibrations by removing negative ones and inviting in positive ones. The month of January was a time of ending old cycles and preparing for new ones. 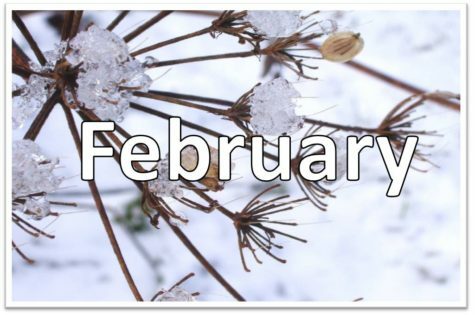 February prepares the environment and the body, mind, and spirit for receptivity of new spiritual and life experiences. Hatun-pucuy, or the Great Ripening, was celebrated among the Incas. The Lesser Eleusinian Mysteries of Greece was also called the Festival of the Returning Daughter. This was a celebration of the Kore’s return from the Underworld and the rebirth of earthly vegetation. This ceremony, unlike the Greater Eleusinian, was open to many people and was a time of initiation into the lower Mysteries. Initiation into the Lesser Eleusinian Mysteries was open to all free men and women who were not guilty of murder and similar crimes. All initiates were bound by an oath of silence so effective that the secrets of the mysteries were never told. Today we know very little about the actual ceremonies, except what was performed in full public view. Kuan Yin is the Great Goddess of the Oriental people. She has been known to offer her aid primarily to women and girls, but there is no reason why men cannot honor her and ask her help. She is said to guide lost travelers, protect from attack by humans or animals, bless a family with children, and heal. She is called the Compassionate and is revered for her wisdom and love. Oriental women offered oranges and spices before her statues. The Roman Lupercalia festival was a time of purification and fertility. A priest of the god Pan signaled the beginning of the Lupercalia with sacrifices of a goat and a dog. The skins of these animals were made into whips which chosen young boys used to strike people, particularly barren women. This was thought to bring good luck in conceiving and having a healthy baby. It is quite possible that our present Valentine’s Day has seeds of its beginnings in this ritual. 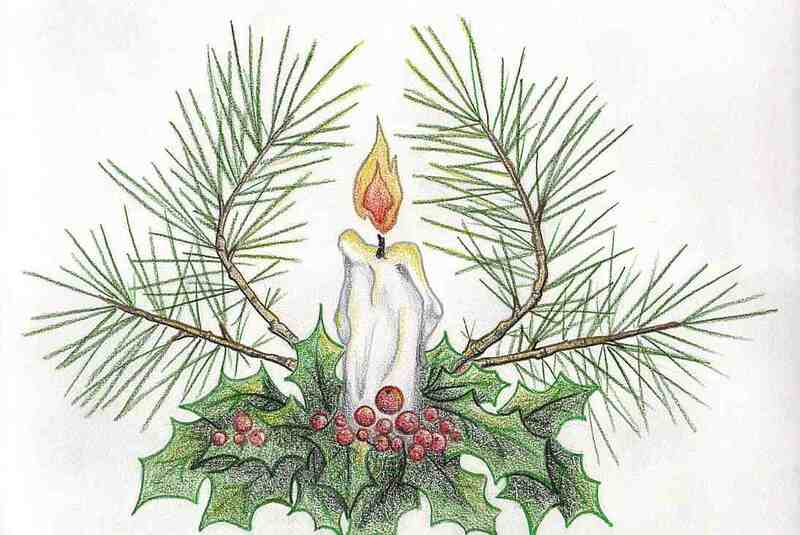 The Roman Parentalia and Feralia celebrations were a time to honor the ancestors. It was a period of solemnity with no feasting or marriages; all the temples were closed. Houses were cleaned thoroughly and food offerings made to the spirits of the dead. The goddesses Mania and Vesta were honored with solemn rituals. The priestesses of Vesta (the Vestal Virgins) were accorded great respect and trust. They kept the wills of the citizens of Rome and saw that they were properly fulfilled when the maker died. At a word or appearance of any Vestal, any condemned criminal was set free without question or argument. Later in the month, the festival of Carista was held as a family celebration for peace and accord. This festival was known as the Concordia. Condordia, or Caristia, was the goddess of harmony. It was a time for exchanging gifts with family members and resolving problems. Differences and feuds were not to be carried within the family beyond this date. The Roman god Terminus was the deity of land boundaries. His festival was the Terminalia. Boundary stones marking the property lines were anointed and blessed by the head of the household. This ceremony is rather like the one honoring the household guardians, as the Nature spirits residing in the boundary stones were asked for protection and prosperity for the land and family. This ritual could be adapted for today by blessing the boundaries of your property, stones or not.